Omo o, s'e ti gbo ohun mo so, ofo l'aye o, ofo l'aye o, ofo l'aye o, ofo. I like to eat my cake and have it. I sexed my girl, she liked it. Ko gba'gidi. O ro bii A, B, D.
And those are just the subtle ones. like the chorus from the Yoruba 'Ara mbe ti mo fe da. K'araye ma pa kadara da, o nbe, o mbe!' that always has me jumping. 'Prick no get shoulder' which is of course, well, yeah, you could check your prick, no shoulder, right? The whole Se B'Otimo song (Ijapa o nibi to nlo...) is pure gold, and to be honest the entire MDS album. Son of A Kapenta is his first 'popular' album (but really his second album, he says), and it's great but not mindblowing at first, the talents - songwriting, singing, storytelling - are a little smoothed out, then in my case getting used to his music in later albums made that first album shine more brightly. Everybody says Tabula Rasa is a wonderful album, which it is, it's amazing, but Merchants, Dealers, and Slaves is beyond! O guitar. O voice. O that sick transition from track 1 to track 2. O wisdom, in English and Yoruba, in comedy and tragedy. O that voice - owo owo owo owo o, on Money (I dey think about money...if Adenuga come go broke). O how pure this album is - very light on production, very perfect. The last Brymo concert, I asked my parents out to see it. (Nice! Lucky to have parents, you know.) I told them he was kind of a modern-day Jimi Solanke storyteller-singer. It was a cosy 'unplugged' session plus a keyboardist, guitarist, and conga drummer. Another post, some other day, on how incredible it felt to be at Jazzhole learning the meaning of everything then dancing a bit, digging his weird arm-pumping dance that he does while singing, and his little life story that tells and shines; he does great with serenades and love (Good morning omoge, tell me how d'you do, or this beauty: Se o le se'be Pound kan, ayanfe mi gan gan, ... mo ni'fe re ni gan an) but I'm not joking when I say in one evening - in one minute - I learned the meaning of it all, of life, of 'energy', Jesus and Mohammed. But I'm not telling you. 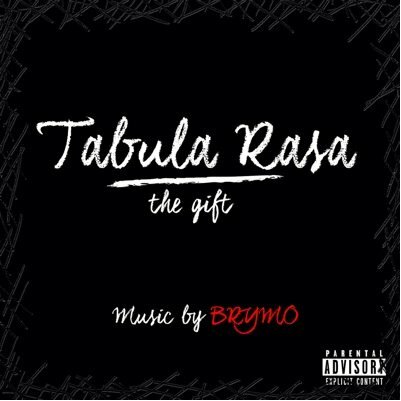 Since we're on the topic of Brymo, what's your favourite Asa album? s'e gbo ohun mo so / have you heard me? o ro bii A, B, D / it's easy like A B C.
se o le se'be Pound kan / can you (hope you can) cook a pot of soup with (just) one pound?